1-1/2" (38mm) Women's vintage casual one piece genuine full grain leather belt (leather varies from color to color). 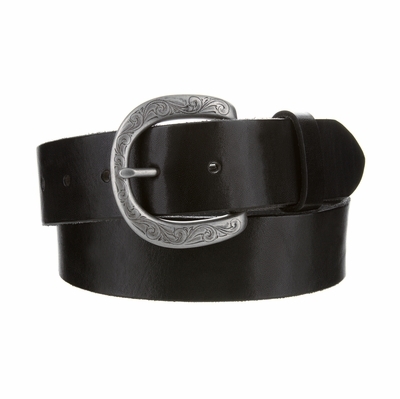 Smooth vintage looking leather belt that comes in multiple colors and sizes. Engraved antique nickle plated buckle and snaps for easy buckle change.